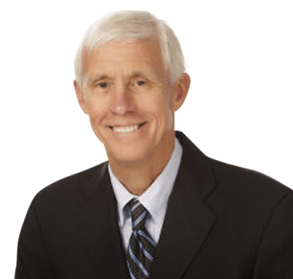 Dr. Thomas Golden has more than 35 years of experience as an orthopedic surgeon. He possesses expertise in a wide range of orthopedic procedures specializing in the shoulder, knee and hip, having performed more than 3,000 joint replacements and 5,000 minimally invasive arthroscopic procedures. He is certified through the American Board of Orthopedic Surgery and is a Fellow of the American Academy of Orthopedic Surgery. Dr. Golden belongs to several professional organizations including active membership in the Arthroscopy Association of North America (AANA). AANA seeks to advance education pertaining to minimally invasive surgeries of the knee and shoulder with the use of an arthroscope. He is also an active member of the American Association of Hip and Knee surgeons (AAHKS) which advances the education of surgeons who specialize in hip and knee replacement. Dr. Golden performs hip replacements using the Direct Anterior Approach. Dr. Golden studied engineering at the U.S. Naval Academy and Molecular Biology at the University of California, San Diego. He earned his medical degree from the University of Virginia School of Medicine. Dr. Golden served his internship in Family Practice at UCLA Harbor General Hospital in California. He attended the Family Practice Residency at the Ventura County Medical Center. Subsequently, he completed 4 years of specialty training in Orthopedic Surgery at the San Francisco Orthopedic Residency Program. Dr. Golden’s leadership activities include terms as Chief of the Medical Staff, Chief of Orthopedics, and Chief of Surgery at Community Memorial Hospital. He is currently the Program Director of the CMHS Orthopedic Surgery Residency in Ventura, California. In 2016 Dr. Golden received the Cephus Bard Physician of the Year award. Direct Anterior Approach – Hip Replacement, Joel Matta, M.D. Southern California Orthopedic Institute, Stephen Snyder M.D. Annual Meeting – San Francisco, CA. ACL Reconstruction, Shoulder Instability & Labral Repair. Risk Management for Physicians Medical Risk Management Inc. Annual Meeting – Washington D.C.